Read up, then go try the suds starting August 26. We’re about to get a new hometown brewery, one that’s been in the works for quite some time. 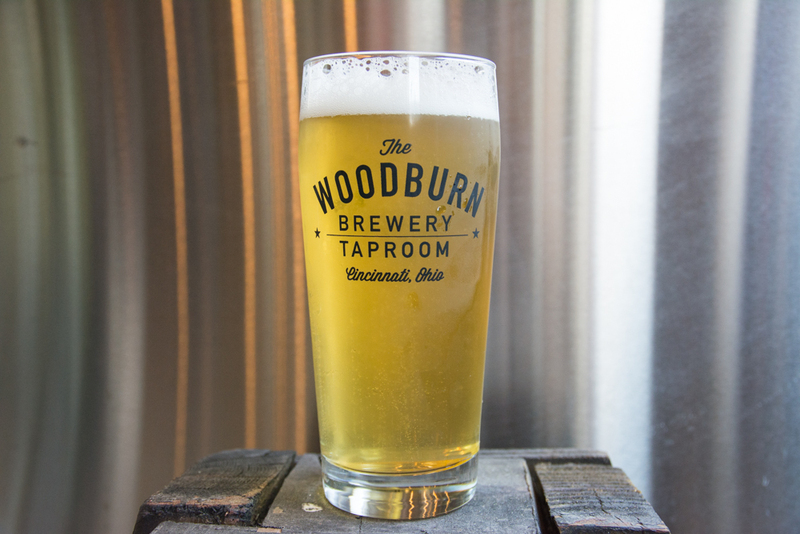 Right in the middle of its namesake East Walnut Hills business district, Woodburn Brewery is looking to bolster the already growing community—and, obviously, provide some good beer. We talked to head brewer Chris Mitchell to find out more. 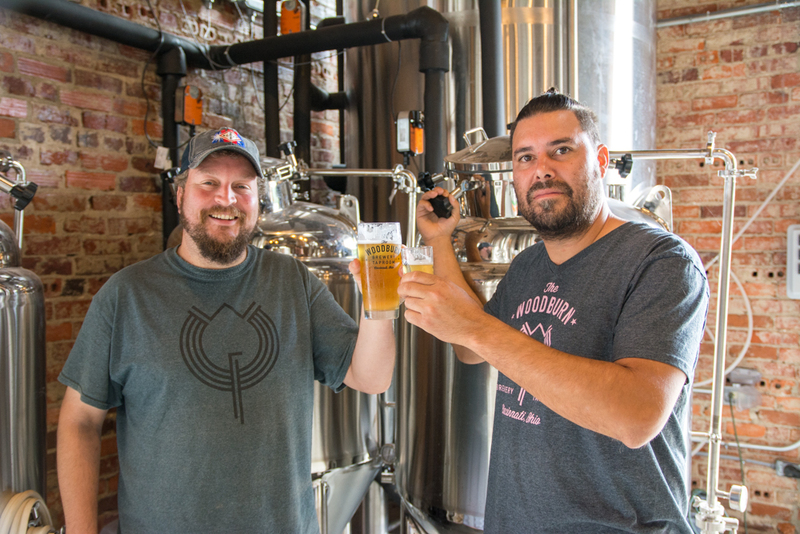 Woodburn Brewery co-owners Chris Mitchell (left) and Dennis Chacón (right). 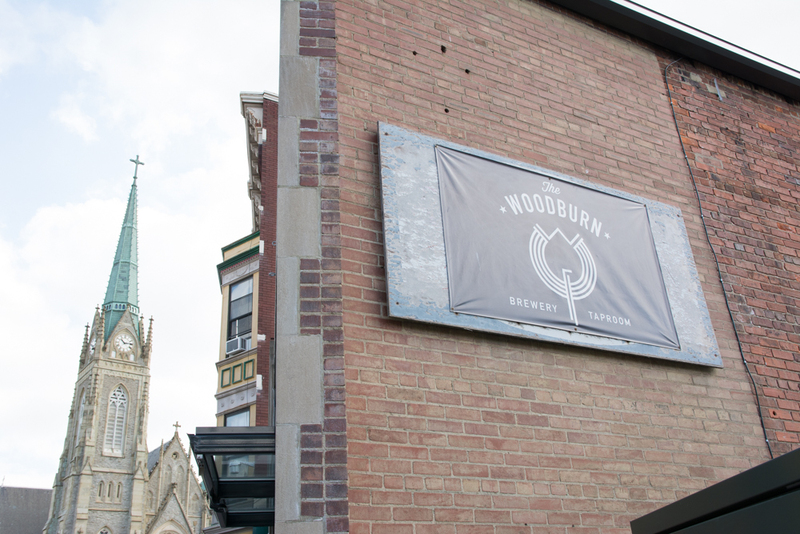 How long has Woodburn Brewery been in the works? Two and a half years now—more if you count the years spent daydreaming about our goals and researching the perfect location. We made a formal announcement about a year ago, raising the sign on our building and beginning the first stages of construction. How long have you been brewing, and how did you get started? I started experimenting with making my own wine 15 years ago. I decided to go all in from the get-go, making my first batch from fresh grapes, rather than from a kit or juice buckets. I enjoyed making red varieties for several years, and at the same time I became interested in brewing beer. Because it takes less time to ferment and complete a batch of beer, I soon was concentrating more on brewing beer—experimenting with recipes and techniques, ultimately learning more in a shorter amount of time, until I came to realize that brewing beer was my true calling. With your history in the home-brewing community, how are you going to incorporate that into a commercial brewery? I am so fortunate to have such a large pool of friends and contacts that are actively involved in the home-brewing community. Several of our investors are accomplished home-brewers. In order to stay close to our home-brewing ties, we intend to invite local home-brewers to recreate their recipes on our 3BBL pilot system—and then we will serve their beer as guest drafts. We will also continue to sponsor local home-brewing competitions and intend to be an active part of [that] community. My personal ties to home-brewing are through my years of employment at Listermann Brewing Company. Why did you choose East Walnut Hills? 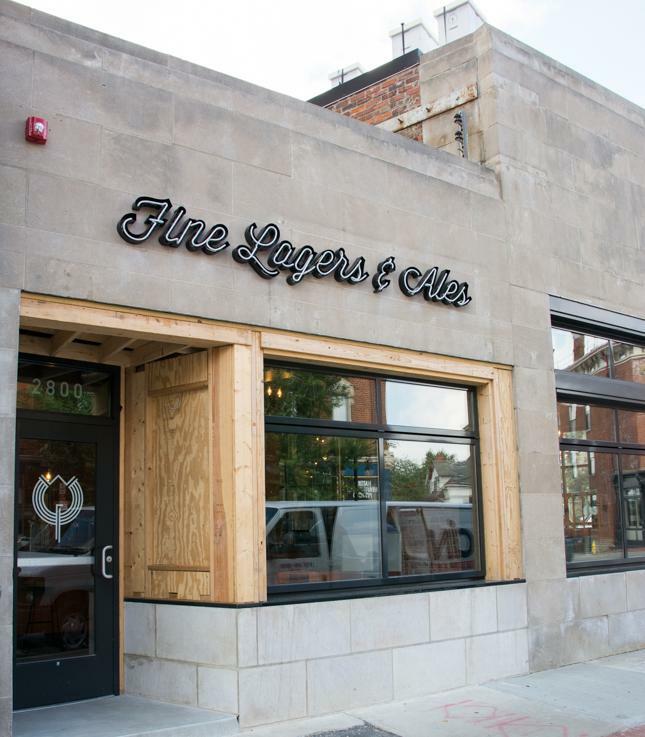 There are many great locations in Cincinnati, and we feel we are only beginning to see what potential lies within so many of our local neighborhoods. That being said, East Walnut Hills just seemed to be the right fit for us. Founding partner Dennis Chacón is a longtime resident of East Walnut Hills, and he has had his eye on this neighborhood for some time. We are enjoying the chance to meet our supportive neighbors daily as they walk or run by the brewery. Our buildings have great history. They were a perfect fit for what we were envisioning for the brewhouse and taproom, with the potential to grow and expand. DeSales Corner is a beautiful part of East Walnut Hills, and the neighborhood as a whole enjoys a close proximity to downtown while at the same time experiencing a rebirth and expansion that allows it to stand on its own as the place you want to be hanging out. We are fortunate to be on the Flying Pig route, and we have frequent community events such as Walk on Woodburn. What are some of the beers you’re most excited about? All of them! Our German Pilsner recipe was given to us by a four-time gold medal–winning brewery from Germany. The Chocolate Cherry Milk Stout is another popular beer, along with our Pineapple Saison which is made with real pineapple. Another special beer we have is an IPA made with Spanish Cedar. We will also have a Bourbon Barrel and a Sour program as well. What it’s all about: the beer. I heard you’re putting bees on the roof. Why? Are you going to make mead? Our intention is to use some of the honey for our beer. It’s our way to help the environment, and at the same time we are calling attention to the plight of the honeybee, with the hope that more awareness will help curb the decline in honeybee populations. As far as mead goes, we are discussing the possibility of opening a cidery/meadery/winery at some point. Our beekeeper is Carlier Symth, a firefighter from a few blocks away [who] owns Queen City Bees. 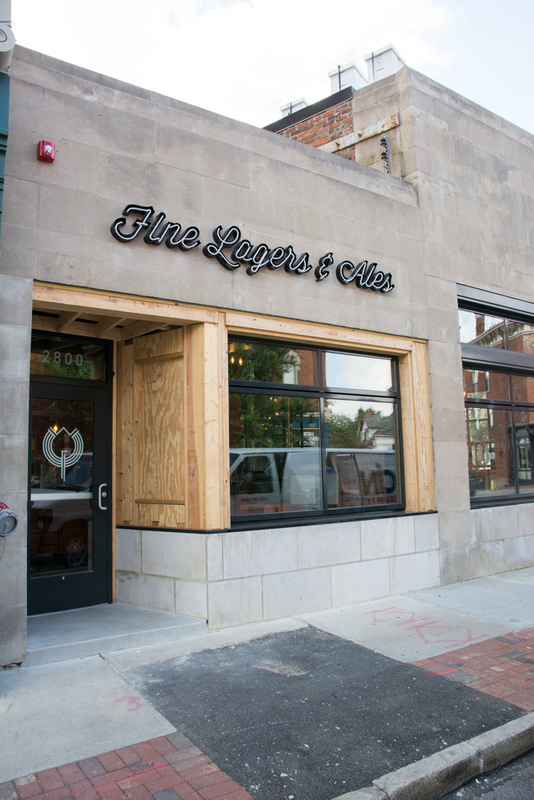 Do you have an official opening date for the brewery? A summer opening is our goal. [Since this interview, they have announced Friday, August 26 as opening day.] Hope to see you there. Cheers! The exterior of the brewery, still in the works. The logo, and a clear indicator of the brewery’s proximity to DeSales Corner.